Daniel Sartin owns the 75th SW20-chassis Toyota MR2 built. Its previous owner, MR2 fanatic Martin Valent, swapped in the turbocharged engine from his Celica All-Trac. 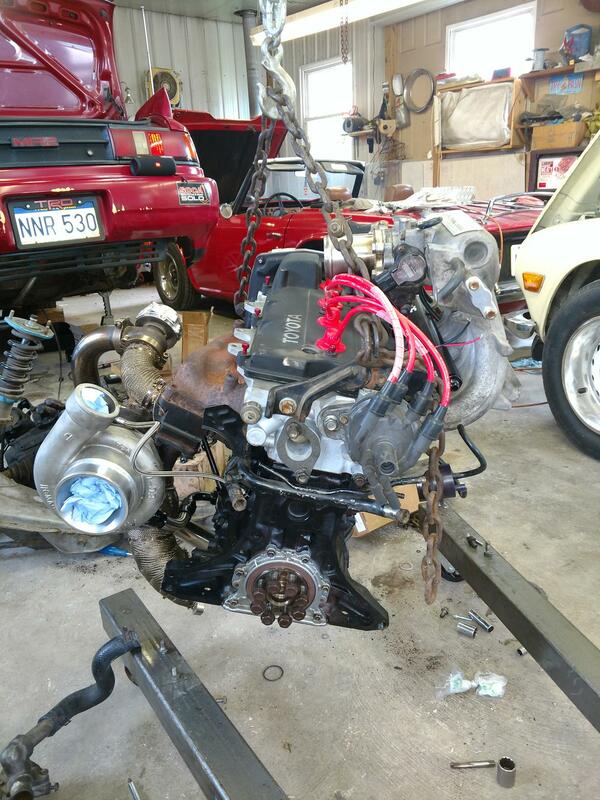 “The engine was fully rebuilt with all OEM Toyota parts, down to the sealant,” Daniel explains. Join Free Join our community to easily find more Toyota articles. Nice. That looks almost exactly like the one I owned. My wheels were just a bit more cooper in color. So much fun even in stock form. Always wish it was a slicktop though. Internet hot rod of the month, a magazine feature on some of the cars on our forums, now in the magazine... on the website. I currently have the engine out and installing JDM Head, GT3071R Turbo Kit, Megasquirt PnP2, Larger Fuel Pump, Top Feed Fuel Rail, Stagebe3 South bend Clutch and add ons to support E85. All on top of the forged and balanced rotating assembly. Should be a very fun car when I'm finished! Have you considered a more modern turbo? EFR would be best but even a GTX would be a big improvement in spool and response. Having driven old and new, it's definitely worth it. I considered a few options, GTX3071, Precision 5180 (I think it was), and an EFR. I found this whole TCS Motorsports Kit used with 5k miles for less than I could have got bought any of those turbos for. The car is just a fun fair weather ride as I drive ~30 miles each way to work in beautiful West Virginia. I thought these raced in GT300? I was referring to the 3S-GTE, it was used in the GT500 Supras, rather than the 2jz, which was deemed wholly unnecessary for the power output. Better fuel economy, lighter, same basic design in the engine architecture, it's a win win, and they did fairly well with that choice. It wouldn't surprise me to learn of the SW20 being used in the GT300 class, but I'm less familiar with those cars. In reply to dansxr2 : West Virginia, lucky you, Dan, I have been through a couple times, so many terrific winding mountain roads. Old school, not flattened and straightened. 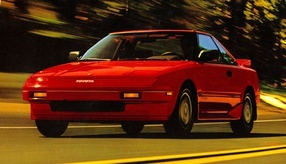 And nice MR2 there! Hi Randy! Thanks for the kind words! WV is definitely a fantastic place to call home! Would love to chat sometime and a ride along! you know you're doing it right when you get love from Randy Pobst. No kidding! I do find it a bit funny that his title is "new reader" as if to suggest that he must be new around here, hahaha!